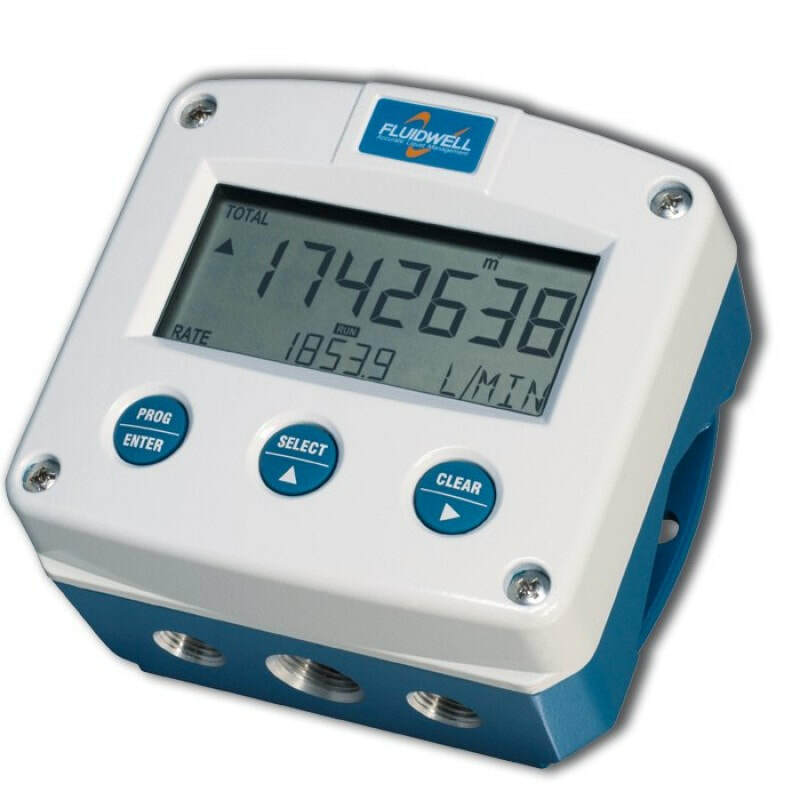 The Fluidwell F118 Field mount flow rate monitor / totaliser with linearisation, high / low alarms, analog and pulse outputs is a versatile flow rate indicator and totalizer with the ability to precisely linearise the flow meter signal. In addition to the average K-Factor or Span, ten linearisation points can be entered with their frequencies or values. The unit will interpolate between these points, greatly enhancing accuracy in any flow range, even for very low frequency applications. Moreover, a continuous flow rate monitoring feature is available with high and low flow rate alarm values and up to three alarm outputs. Flow rate and total are transmitted with an analogue and scaled pulse output. A hard wearing, tough IP66, IP67 (NEMA Type4X) field enclosure. It is so robust, you can even stand on it! Intrinsically Safe available on the F118 model – ATEX and IECEx approval for gas and dust applications. Programming the unit is easily accomplished by your own employees, with an easy to navigate menu-driven structure, saving time and bother. Knowing one Fluidwell model means knowing them all! If your company requires five or more F Series units, please contact our team of experts for a quotation. The Fluidwell F118 display shows flow rate, total, accumulated total, alarm values, alarm messages and status. On-screen engineering units are easily configured from a comprehensive selection.